Ferguson, MO: 9 Year Old Jamyla Bolden Shot Dead as She Was doing Homework on Her Mother’s Bed … Do Black Lives Matter? DO BLACK LIVES REALLY MATTER IN FERGUSON, OR IS IT JUST WHEN THEY ARE KILLED BY THE POLICE? 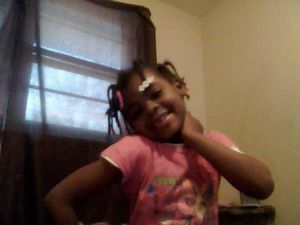 9 year old Jamyla Bolden was shot dead as she was doing homework in her home as she laid on her mother’s bed. Jamyla was a fourth grader at Koch Elementary School. 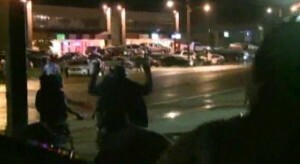 The incident took place at about 9:30 Thursday night in the 9200 block of Ellison in Ferguson, Missouri. The shooting happened a couple of blocks from the site where 18-year-old Michael Brown was fatally shot by a police officer on Aug. 9, 2014. What a tragic and sad story about the death of a child who was simply just doing home work. Her mother also suffered a gunshot wound to the leg. For the Black Lives Matter crowd, this is what you should be concerning yourself with. But alas, there are no cops, and white ones at that, to blame. Only most like gang members. You would protect when a thugs who attempt to attack a police officer or stupidly points a gun at police and wind up dead, imagine that? But for an innocent young girl you are silent. What’s the matter Rev’s Al and Jessee, not enough race-baiting in this tragic situation? Ferguson police are searching for clues about the killing of a 9-year-old girl who was shot when someone fired into a home where she was doing homework on her mother’s bed. No arrests have been made in Tuesday night’s fatal shooting of Jamyla Bolden and police don’t yet know if the home was targeted or the shots were random, Ferguson Sgt. Dominica Fuller said Thursday. Jamyla’s mother, 34, was struck in the leg and treated at a hospital. The shooting happened a couple of blocks from the site where 18-year-old Michael Brown was fatally shot by a police officer on Aug. 9, 2014, sparking sometimes violent protests. Fuller, herself the mother of a 9-year-old, was among the first officers at the home after the shooting, which was reported just after 9:30 p.m. Tuesday. She said police did all they could to help the child, to no avail. During a live interview in Ferguson, MO amidst the unrest on the one anniversary of Michael Brown being shot by a police officer after having attacked him, some of the protesters show their true colors and classlessness by chanting “F@ck the police”. Usually paper is considered the gift of choice for a one year anniversary; however, in the case of Ferguson it is bullets and profanity. I wonder why these brave souls can’t show their faces as they make their vulgar chants? Looting and gunfire commemorate the one year anniversary of the shooting death of Michael Brown in Ferguson, Missouri. Enough of the talking points of the so-called unarmed teen who was shot by former police officer Darren Wilson. When some one is attacking a police officer and going after their gun, the unarmed adjective used to describe Michael Brown is a misnomer. The subsequent reports to this incident showed that Officer Wilson did nothing wrong and it was Michael Brown that was the aggressor. As Bill Maher stated, he was hardly a gentle giant as the liberal media and race-baiting activists would have us believe. That being said, it is always sad when some one young dies, but one must also act accordingly and mitigate their damages. How sad is it that on the one year anniversary of the shooting death of Michael Brown and the birth of the faux movement, “Hands Up, Don’t Shoot,” that it be remembered with a flurry of gun shots and looting. Tensions flared in the US city of Ferguson late Sunday as looters targeted at least one store following a day of somber remembrance to mark the anniversary of the police shooting of an unarmed black teen. A crowd of about 50 people looted a beauty store in the St. Louis suburb and protesters grew confrontational late in the evening. There was no immediate word of any arrests. Demonstrators had taken to the streets of Ferguson to mark the anniversary of 18-year-old Michael Brown’s death in a fateful encounter on August 9, 2014 with officer Darren Wilson. The shooting — and a subsequent decision not to indict Wilson — led to violent unrest and set off nationwide protests and intense scrutiny of heavy-handed police tactics in a series of cases that ended in the deaths of unarmed blacks. Sunday’s day of remembrance had been peaceful until a handful of protesters grew rowdy later in the evening. A crowd of about 300 people had gathered earlier to mark the anniversary, during which they observed four and a half minutes of silence and released two white doves. So we are having a one year anniversary of an individual who attacked a police officer and was killed? On the one year anniversary of the faux “hands up, don’t shoot” death of Michael Brown in Ferguson, Missouri, the day was marred with gun fire and bullets shot at police officers. 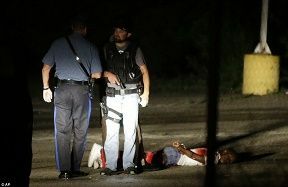 The violence broke out at about 11 pm when shots were fired at the police. The police responded by firing back and shooting the unidentified man who fired on them. St. Louis County Police Department Chief Jon Belmar explained that two groups exchanged gunfire on the west side of W. Florissant near the Sam’s Market in Ferguson, amid a protest marking Brown’s death. The unidentified gunman was shot by the police. As reported at the NY Times, a gun that the police recovered from the shooting victim was a 9-milimeter Sig Sauer that they said was reported stolen last year. Chief Belmar said that the four detectives who had shot the man had between six and 12 years of experience, but he declined to provide information about their race. Imagine that? The gang violence that continues in Ferguson as seen by the actions of this shooter show what the real issue is in Ferguson. Where was Al Sharpton, what can’t make any race-bating hay off this anymore? A peaceful day of protest and remembrance dissolved into chaos late Sunday when a man fired multiple shots at four St. Louis County plainclothes detectives in an SUV. The detectives fired back and the shooter was struck, said county Police Chief Jon Belmar. He was in critical condition. Tyrone Harris identified the victim as his son, Tyrone Harris Jr., 18, of St. Louis. Harris said shortly after 3 a.m. that his son had just gotten out of surgery. “We think there’s a lot more to this than what’s being said,” Harris Sr. said. In a 2:30 a.m. press conference, Belmar said there is a “small group of people out there that are intent on making sure we don’t have peace that prevails. “We can’t sustain this as a community,” he said. Police Shoot Man in Ferguson Following One-Year Anniversary of Michael Brown’s Death. A male from one of those groups left, walked across the street, and stopped on the shoulder. Four plainclothes officers in an SUV saw that person, and pulled their vehicle out. The suspect opened fire on the car, hitting the grill and windshield. The detectives got out of their vehicle when the suspect turned and fired at them, prompting the detectives to shoot back, police said. The detectives chased the suspect on foot. When the suspect reengaged the detectives, they shot the suspect multiple times. The unidentified suspect has been described as approximately 20 years old and in critical condition. Meanwhile, the officers were placed on administrative leave. A stolen firearm was recovered from the scene, according to authorities. So now we make special moments of individuals who attack police officers? Remember folks that Officer Darren Wilson was cleared of all charges in the shooting death of Michael Brown. Even uber-libs like Bill Maher mocked the news reports that this kid was some “Gentle Giant”. The whole Hands Up Dont Shoot was a lie. 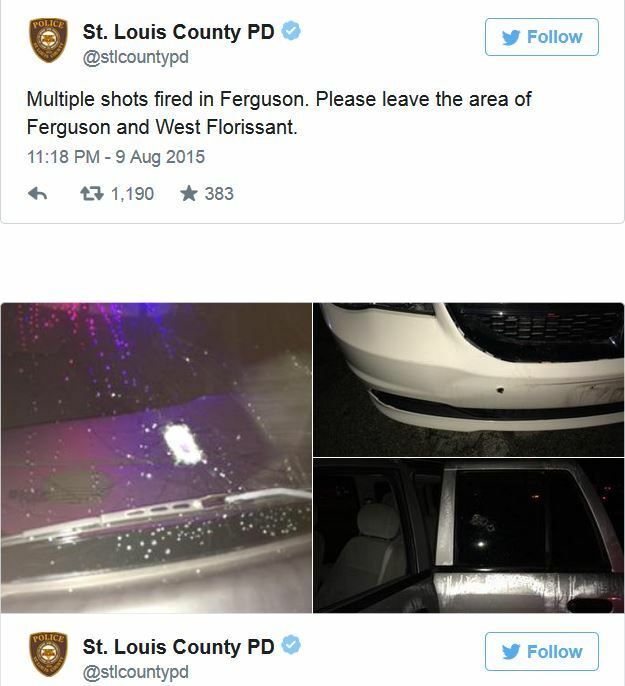 But that did not stop the liberal media and race-baiters from destroying Officer Wilson’s life. All based on a lie. Is it really an anniversary if the original event was based upon a lie?